From Dapto, Ben stars in the I & J frozen fish commercial as wrestling superstar “Iron Jay”. This advert isn’t far from the truth, as “Iron” Ben Coles has been taking on all comers and has been successfully defending his AWF Heavyweight Championship since August 2010, in the Australasian Wrestling Federation. After wrestling with The AWF for over 5 years, and training with the very best Canada has to offer with former WWE SuperStar Lance Storm’s School of Professional Wrestling. “Iron” Ben Coles has made his mark in the wrestling scene, and is determined to work hard towards bigger opportunities within the industry. One of these opportunities has recently seen The Super Team of Benny Coles & female wrestling sensation Mighty Mel actually teaming up and creating a brand new and unique party idea called… “A Super Hero Wrestling Party”, With already having been a huge success in the Illawarra the Super Hero Wrestling Team is here to make your next birthday a smash hit!!! Best of all, all of the equipment is provided and there are even upgraded prizes and many smashing add on’s on offer, such as a Benny Coles Action Figure. Offering a wide range of packages from a small group of children to the more larger parties to even just appearing at Local Gigs and Charity Events The Super Hero Wrestling Team share their enthusiasm for fitness and health with these Super Hero Wrestling Parties and will entertain children of all ages and to have a great tonne of fun with all the necessities of any great kids party – cake smashes, tug of war contests – the works!!! Apart from professional wrestling and children parties Ben Coles also promotes weight loss programs as a member of the Illawarra’s “Food Patrol”. The Food Patrol are a group of passionate fitness professionals, with a mission to educate as many people as possible with healthy living lifestyles. Working out of The Food Patrol Headquarters over in Shellharbour Village and Market Street in Wollongong these experts offer professional training, and nutritional programs with proven phenomenal results. As “Captain Bam Bam”, Coles works with clients to give them the absolute best possible results using nutritional advice, and training programs. Ben Coles is a Fully Qualified Personal, and Group Trainer (Registered with Fitness Australia holding both a Certificate III And Certificate IV in Fitness). He currently offers a variety of training regimes and promises to look after the nutritional and weight management side of things to all of his clients. His mobile personal training where he comes to your house and brings his own equipment would have to be one of the most popular. 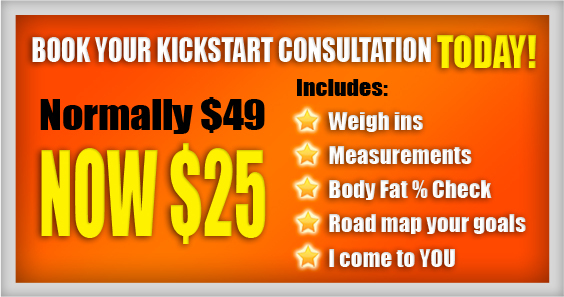 He also offers Benny Bootcamps, Tailor Made Programs, 90 Day Challenges and Online Support. Ben Coles’ personal training business offers a great opportunity to get fit, look good, and feel good. Check out Benny’s Personal Training programs on the services page, and become an athlete, or just get in shape and feel good about you! !